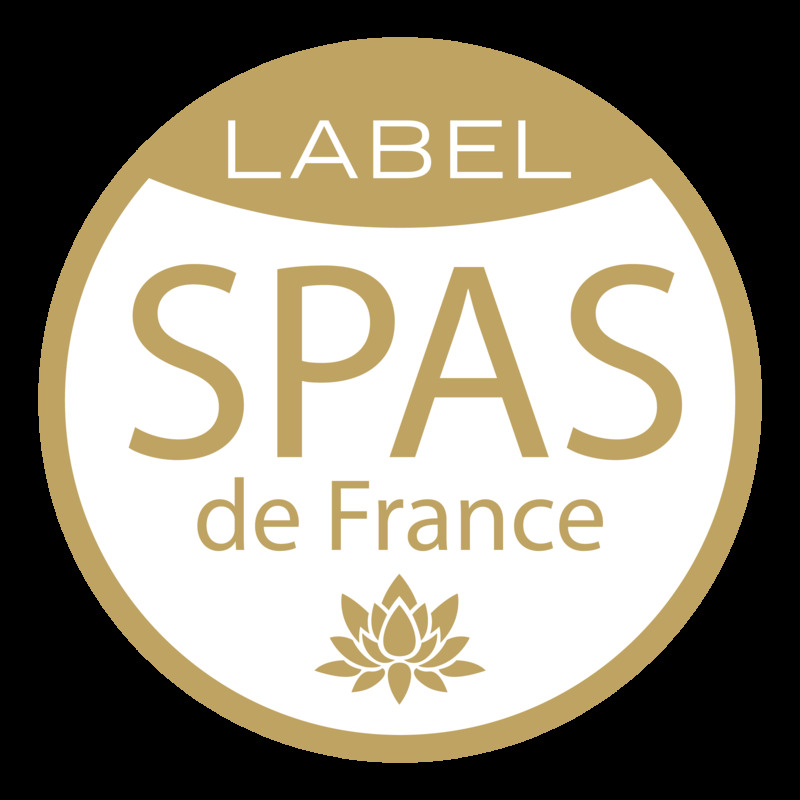 Délassant des Jambes (Relaxation for the legs) : anti-tiredness treatment beneficial for your circulation. Détente du Dos (Relaxation for the back): naturally relaxing wellness massage for the back. Rituel du Cuir Chevelu (Scalp Ritual): release built-up tensions. 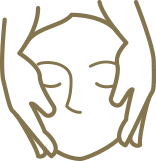 : facial relaxation and wellness massage of your upper body. Tensions will disappear, your facial features will relax naturally. : the benefits of the natural active ingredients of tropical flowers at the service of your body. Douceur & apaisement (Gentle & soothing) : relaxing wellness massage for the legs and back. Shirotchampi : from the art of Indian massage, to eliminate mental tensions accumulated in the upper body. olive and sesame oils and slow and deep-reaching massage movements for moments of pure well-being. Thai Reflexology : natural rebalancing through acupressure on plantar reflex points. Gommage & hydratation (Exfoliation and hydration) : eliminates bodily dryness, your skin is satiny, and your tiredness dispelled. Enveloppement & hydratation (Wrap and hydration) : detoxified and free from stress, tiredness and tension. a sublime complexion combined with the benefits of natural fruit acids and active natural ingredients from tropical flowers. flowers with a facial, neck and trapezius muscle massage, for a beautiful and radiant skin. : this ancient tradition of the Indian people varies its rhythms. Fragrances of vanillla and cardamom and the gentle warmth of oil for an invigorating treatment. : inspired by healers and Lomi-Lomi, the forearms combine pressure and long and continuous movements, while the delicate fragrance of Tiaré flowers help you let go completely. melting body balm”. A sensory escape, with traditional Thai smoothing massage and gentle stretching. Spécifique Dos (Special Back Treatment) : complete cleansing treatment combined with a relaxing wellness massage. Californian : from the New Age era, the most soothing of wellness massages as it helps you reax and is gentle. : essential and adapted for your skin. After cleansing there is a light exfoliation, followed by a massage and a suitable mask, making your complexion delicate and radiant. Abhyanga : this soothing and gentle Indian ritual eliminates tiredness, and banishes internal restlessness. circulation and provides longlasting detoxification. The slimming effect is visible after several sessions. 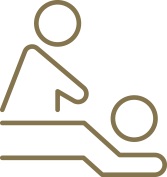 Shiatsu : ancient Chinese anti-stress treatment, in which the hands apply deep, invigorating and rebalancing pressure to the meridians, unblock tensions and eliminate your tiredness, making you feel calm. Thai Oil : a traditional protocol of the art of massage which is energetic and deep reaching, with gentle stretching for intense relaxation to reactivate the bodily functions. Balinese : Indonesian ritual whose particularly relaxing effect improves the circulation and sculpts your figure. massage and the treatment are good for your well-being. Siro Abhyanga : an Abhyanga protocol, soothing and gentle, combines the application of pouches of aromatic herbs, plants and rare spices, infusing their gentle warmth and benefits. You will feel rebalanced and enveloped in sweetness. benefits of the “Tropical nuts melting body balm”. You are invited on a sensory journey, with traditional smoothing movements and gentle stretching: a world of tranquillity. : an unforgettable moment of wellness and an exemplary treatment. Beautifying and effective: hydration, anti-ageing, radiance and firmness from. Symphonie à 4 mains (Symphony with 4 hands) : inspired by the passion of our therapists. Your mind will be freed from tension, and escape into a world of exquisite sweetness. A must-have massage for a liberating internal journey. 2 practioners operate for a 45 mn massage duration. Traditional Thai : floor massage wearing loose fitting garments, you lie on the floor. Uses yoga postures and stretching, ideal for gently stretching and extending the muscles, so you can derive deep benefit from your relaxation. Incomparable.